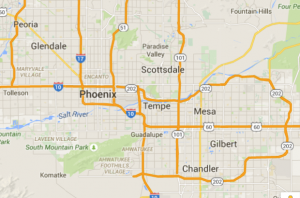 With many Arizona GPS fleet tracking customers all over the Phoenix Valley we have become very comfortable in the Valley of the Sun! We offer many fleet tracking devices as well as fleet management services. Mobile Tracking and Consulting Services specializes in fleet tracking and trailer tracking, and was first established to support this industry within Southern California, Palm Springs, Las Vegas, and Arizona. Since then, our company has grown and now serves customers in the entire Phoenix Valley, including Chandler, Gilbert, Peoria, Tolleson and Tempe, AZ .